I have no idea why or when I bought it, but I decided it was time I used it. Last spring ( did I mention time was slipping by me rather quickly of late?) our friend from Spain stopped for a visit and brought me a recipe. He loves to cook and does mostly Indian and Thai recipes. Unfortunately, I’m not able to eat most of his food as he likes to make it blazing hot. He made this Chicken Korma, based on a recipe by Madhur Jaffrey, and decided it was mild enough even for my wimpy taste buds. I modified it a but further – eliminating the Cayenne Pepper and Garam Masala, and making only enough for 2 servings.. It was wonderful – without heat but with lots of complex flavors. Heat 1 tbs oil in a large skillet over medium-high heat. Add bay leaves, cloves, cardamom, cinnamon and stir-fry 10 seconds. Add onion and fry until tender and starting to brown..
Reduce heat to medium, add garlic, ginger, cumin, coriander and stir-fry 2 minutes longer. Add tomato paste and stir well to combine. Add yogurt to chicken and stir well to combine. Add apricots, cover and simmer for 10 minutes longer. When rice is done, fluff with a fork and spoon on to 2 plates. 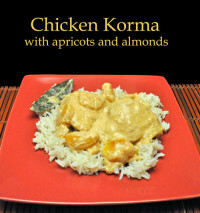 Top with Chicken Korma and serve. I have new spices in my kitchen! I found them at the Christmas market in Bordeaux. It’s the first time I’ve been able to buy either of them here, but, remember I live out in the middle of nowhere…. Sumac is used in Middle Eastern and Mediterranean cooking. It has a slightly tart taste. My spice bible says zaatar is a mixture of lemon thyme, sumac and sesame. My Moroccan cook book says za’atar is the Arabic word for thyme, specifically a wild thyme that is more pungent than the cultivated varieties. A substitute would be dried Greek thyme or fresh lemon thyme. It goes on to say not to confuse it with the Lebanese herb and spice mix used to sprinkle on bread. Ha! I’ve been using fresh lemon thyme for years. I did say that I was going to expand my culinary horizons. I could wish that the fun spices didn’t come in those silly, useless glass tubes, though….. Seems you found an excellent use for the almonds! I love when I discover I know than I thought, somebody just gave it another name. 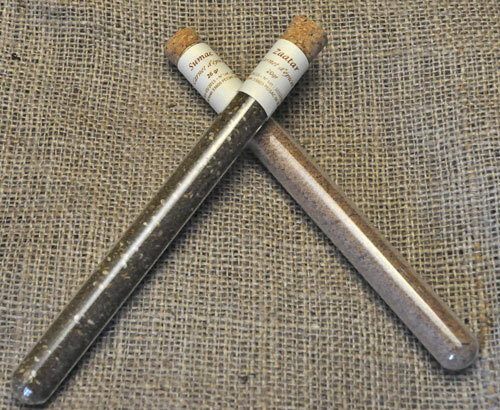 Who knows when the spices are gone there may be some odd need those glass tubes will be perfect for … as soon as you pitch them it will become clear. I am going back to Morocco in about 3-4 weeks but I cannot bring the spices back if purchased at market sadly due to our rigid customs. Zaatar is local to Israel – we use it on salads, in yogurt-based tangy soft white cheeses (labane), sometimes on roast chicken (in moderation), in eggs, and it’s EXCELLENT sprinkled on pita wedges grilled with a bit of olive oil… Just taste a bit and see what appeals. Can smell delicious spices, ummm. Will try this recipe, thanks! I had a small bag of almond flour in my pantry, too, with no idea of why I bought it. But I found a recipe for a clementine cake that called for it and it was delicious! I will be posting about that cake soon, so if you have some of that flour left over, save it! Could you have possibly been thinking of making financiers? That’s why I buy almond flour. 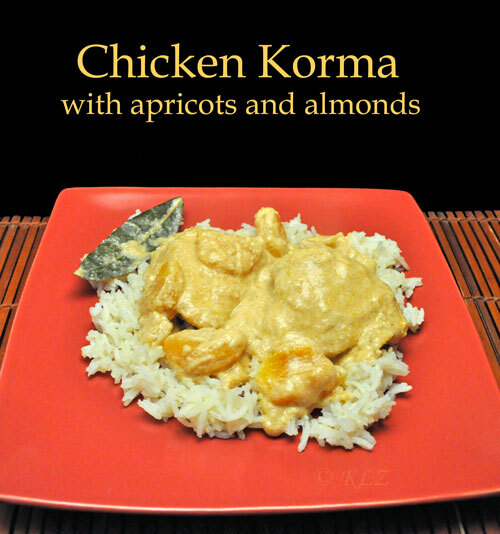 Your chicken korma looks delicious. Kate, can you mail them to yourself? What a shame you can’t bring them back… But how wonderful to be going back. We’re thinking seriously about a trip – but don’t know when. A bit closer for us…..
Pam, clementine cake, eh? I’ll watch for it. Thanks. Penny, is there a difference between almond flour and ground almonds? This was pretty course – like cornmeal. I really have no idea – but I used it for something. The mind is a terrible thing to lose. Would you like me to mail you some Katie? It’s available everywhere here. My local spice shop sells it by weight. That would be IN a few weeks…. sigh…. No worries, I knew what you meant :). Give me a shout if/when you’d like some. Another wonderful recipe! 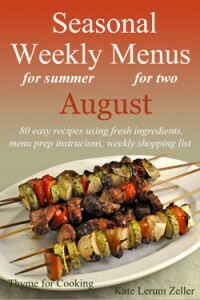 Made it tonight for the family, with store-bought almond meal – none lurking anywhere at home. Couldn’t resist adding the cayenne pepper (just a touch) and the Garam Masala – beautiful additions. Thanks for the recipes – always stellar flavours.